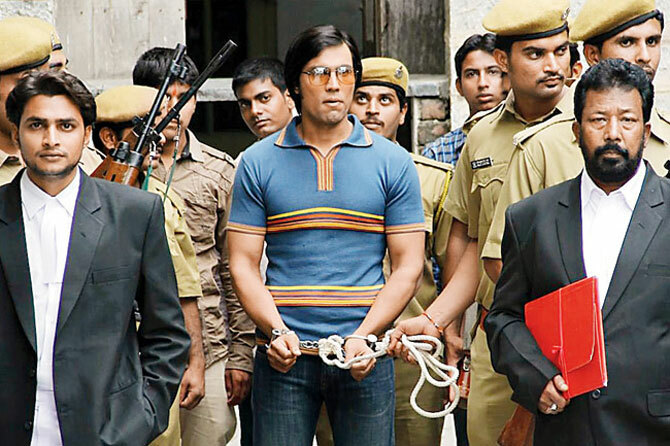 Main Aur Charles Movie Review: Suave and Stylish, but Where is the Substance? Director Prawaal Raman’s Main Aur Charles is riddled by an inherent dual conflict. As a viewer, if you are familiar with chronicles of the (in)famous ‘bikini killer’ or ‘the serpent’ Charles Shobhraj, you will find Raman’s film to be devoid of sufficient thrill and excitement. On the other hand, if you are ignorant about Charles Shobhraj, you will find Main Aur Charles to be confused, incoherent and incapable of providing any deep insight into the life and times of perhaps one of the most dreaded serial killers in recent times. It is this ambivalent nature of Main Aur Charles that eventually pulls it down, even if it does have its share of merits and a great degree of style and charm. Prawaal Raman is a product of the now-defunct but once powerful RGV factory with films like Darna Mana Hai, Gayab and Darna Zaroori Hai to his credit. 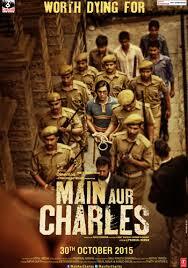 Expectedly, Raman brings in a definite technical finesse to his latest venture, Main Aur Charles. The film is very well-shot, with a lot of shadow play and close ups, the background score gives you adrenaline rush at times, the production values are neat, and the authenticity of the bygone decades is very much there. But, Raman seems to be struggling to put together different pieces of the remarkably notorious (you may want to call it adventurous) life of a hardened criminal who fooled people across India and Southeast Asia with his charming ways and a sharp mind. Raman does the smart thing by choosing to focus only on the Tihar jailbreak episode of Charles Shobhraj’s long list of exploits that spelled fear throughout the mid and late 70s. But, the film’s screenplay meanders to a great extent in trying to balance its bid to be both an engaging investigative thriller and some sort of a biopic on a man who can perhaps be best described as a psychopathic genius. The film narrates the story of Charles (Randeep Hooda), an enigmatic con man and a vicious serial killer, who escapes to India after committing murders in Thailand. After being apprehended and lodged in Delhi’s jail, Charles befriends almost everyone who crosses his path, including fellow inmates, a gullible law student (Richa Chadda) and the prison jailer (Vipin Sharma) himself. A few months before completion of his jail sentence, Charles escapes from the Delhi prison by masterminding an audacious jailbreak that triggers a massive hunt for him by the Indian authorities. Leading the charge is an upright Delhi Police Officer Amod Kanth (Adil Hussain) whose job is not just to bring Charles to justice but also to battle the media fixation and a near-glorification of Charles in general public opinion. 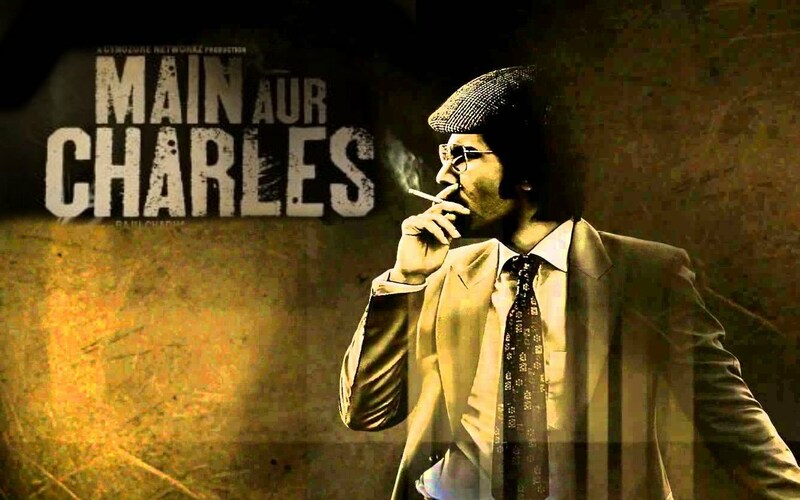 If Main Aur Charles succeeds in painting a charming and mystical picture of Charles, it is largely because of the man playing Charles Shobhraj on the screen. Randeep Hooda gets the body language right and his mannerisms evoke both charisma and fright. His thick French accent gets time to grow on you but it eventually gels well with the character in question. While Hooda does a good job of character sketching, with his bell bottoms and signature glasses and cap, one wishes there was more in the screenplay that focused on his modus operandi and the inner mechanisms of a dreaded serial killer. All the insight that we get inside the mind of Charles is through a repeated reference by the characters of him being an enigmatic, intelligent man with a troubled childhood. In fact, the film’s first half spends a fair amount of time in tracing Charles’ journey from Delhi to Bombay to eventually Goa, but it fails to bring anything substantial on the platter. Through this journey, there are too many conduits in the frame and tracking all of them becomes a little tedious. The narrative seems disjointed at several places and there seems to be a constant conflict between glorifying Charles as a ‘hero’ in the film and examining an incident of crime from a neutral eye. Main Aur Charles gathers some steam in the second half when the focus shifts on the motive of crime and the drama surrounding recapture and trial of Charles. Adil Hussain, who wowed us with his portrayal of Sridevi’s loving but indifferent husband in English Vinglish, does a brilliant job as an honest police officer heading the investigations. His restrained anxiety and frustration that threatens to boil over the brim several times, is a treat to watch. So is the sweet, little track with his wife, played by an ever beautiful Tisca Chopra. Richa Chadda is surprisingly sidelined for a good part of the film and her portrayal of an ‘innocent’, young girl, swayed by a charismatic criminal is definitely not the best that we have seen of her. Rest of the support cast seems to be going through the motions and do not really leave a long lasting impression. To be fair to Prawaal Raman, making some sort of a biopic on Charles Shobhraj would have been a tough nut to crack for even the best in the business. And I say so because Charles’ is not your typical gun totting, knife wielding Underworld ka gunda by any stretch of imagination. While Bollywood does have some pedigree when it comes to making films on the criminals from the Underworld, I cannot remember watching a good Hindi film that dealt with a criminal whose mind is his most treasured weapon. While Raman tries to buck the trend, he eventually falls short of expectations. Overall, Main Aur Charles gets the style and seduction in right measures but fails to bring in the substance. It leaves you wondering if it would have been wiser to mold the film in the investigative thriller genre – on the lines of the recently released and absolutely riveting Talvar – rather than trying to be and to do too many things at the same time. What do you mean by substance in Bollywood context ? . What did you expect when you said you wanted “talvar” out of this ? . Why is this urge to diss a moderately good movie, from an Industry that usually churns out junk ? Substance would mean the same in any context – not just Bollywood. And substance means ‘substance’ or ‘meat’ or ‘deep insight’ or ‘something new’ or ‘fresh/new perspective’. Plus, I do not agree with your notions of Bollywood producing ‘junk’ or not making movies with ‘substance’. Like every other movie making industry, Bollywood too has good, bad and ugly. Now, coming to Talvar. It was just a reference point. I don’t want Main Aur Charles to be Talvar. I said ‘perhaps’ it would have been wiser to mold the film in investigative thriller genre. Here, the film seemed to be a stylized biopic, a thriller, all at the same time. You found the movie ‘moderately good’, I rated it ‘average’ and did not call it ‘poor’. 🙂 I didnt dislike the film, I wished it was better. Because, it had the potential. Both in terms of technicalities and a fascinating subject.